Located just steps from Oregon’s famous Cannon Beach, the Ecola Inn is an affordable alternative to owning a beach home. They specialize in multi-week vacations, with the average guest staying one to four weeks. Surrounded by forests and beaches, the Cannon Beach area is rich with recreational opportunities. From hiking and surfing to sandcastle building and art festivals, Cannon Beach has something for everyone. It`s also home to Haystack Rock, the third largest coastal monolith in the world. 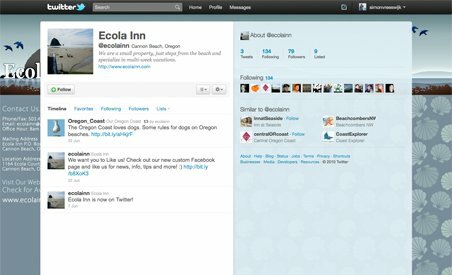 Visitors come from to the Ecola Inn from all parts of the United States and Canada, in every season. Each room offers stunning views of Cannon Beach, and most rooms have both a full kitchen and fireplace.